A floral-oriental fragrance. Top notes of pineapple, plum, mirabelle, bergamot, lemon, and cardamom. Heart notes of rose, jasmine, ylang ylang, orris, and orchid. Base notes of vanilla, tonka seeds, cedarwood, sandalwood, and musk amber. 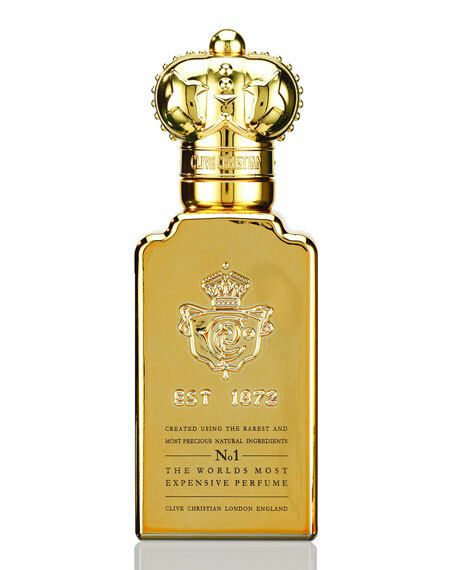 In a 1.6-ounce painted gold bottle engraved with the signature crown of Queen Victoria. 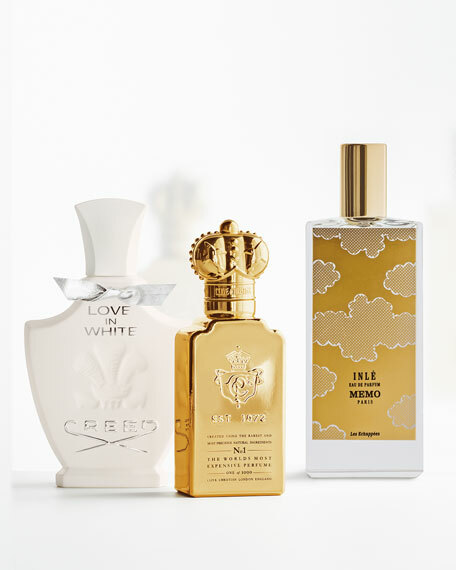 In 1999 Clive Christian acquired the Crown Perfumery, a celebrated British perfume house established in 1872. The house acquired its name after being granted the use of the royal crown by Queen Victoria as a mark of quality and excellence. Now, inspired by history and tradition, Clive Christian creates a new level of luxury perfumes, with exotic, natural ingredients that allure both men and women. For in-store inquiries, use sku #235888.